The Brand Aku is always restores very high-quality shoes. Even when Aku Mid Arriba is the case. The upper material is processed in suede, the lining with Gore-Tex waterproof and thus. The outsole is a high performance Vibram sole. Toe and heel are seared with a protective rubber and the thickness is 1.6 mm with very well. With a weight of 450g is the mid Aku Arriba GTX a very light shoe. By and large, a pointed shoe brand Aku. Aku uses for a large part of the soles of their shoes, which were in terms of design, the tread and the specific composition of the rubber compound designed depending on the specific user requirements and the shoe exclusively designed in collaboration with Vibram. 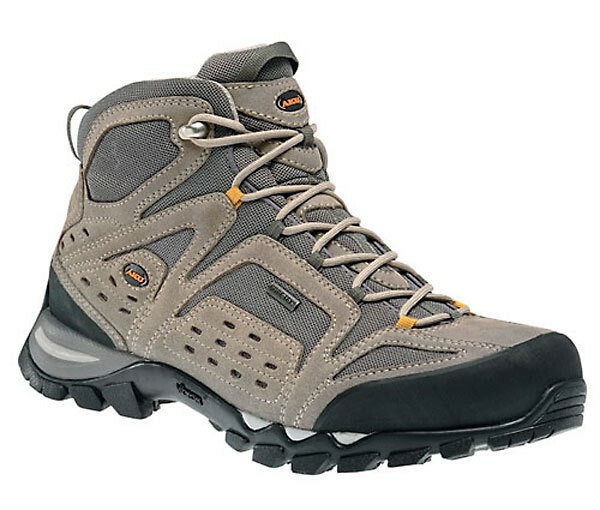 The structure of the shoes GORE-TEX Footwear with XCR guaranteed even during intense physical exertion at high temperatures and optimum climate comfort in the shoe. The laminates GORE-TEX Footwear with XCR consist of extremely breathable and water-repellent materials. that does not sacrifice shock absorption.